IBC, 11-16 September: Amsterdam. GVF and IRG will jointly host “Safeguarding Your Transmission Operation” workshop sessions on 14 and 15 September. Learn how industry associations are collaborating on a suite of initiatives to support the broadcast community, including for spectrum reliability, uplink operator skills and productivity, equipment certifications, quality accreditations and certifications, and access assurance. These sessions require registration (details included in the linked document). In addition, GVF training authors will be available at the GVF stand (Hall 6.B05) throughout the conference to discuss the latest SNG/mobile/teleport uplinker training and certifications, explain the GVF Accredited Organization for Training (AO/T) program, and answer any of your GVF training questions. VSAT 2014, 17-19 September, London. VSAT 2014 brings together the major decision makers in the industry to focus on key issues, discuss the latest industry developments, and identify opportunities across the globe. GVF will participate in sessions on emerging markets and defending C-Band. Training program staff will be available for meetings and to answer any questions. APSCC, 22 September: Phuket, Thailand. In conjunction with their annual satellite conference and exhibition 23-25 September, APSCC will host its third Satellite RF Interference Mitigation Forum on 22 September. GVF will participate and staff will be available to discuss all aspects of the training program. VSAT Africa and AfricaCom 2014, 12-13 November: Cape Town, South Africa. 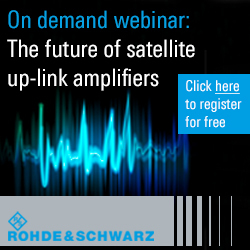 These events bring together senior decision making leaders in the VSAT community to debate and discuss the commercial and technical challenges of operating a satellite network in Africa. 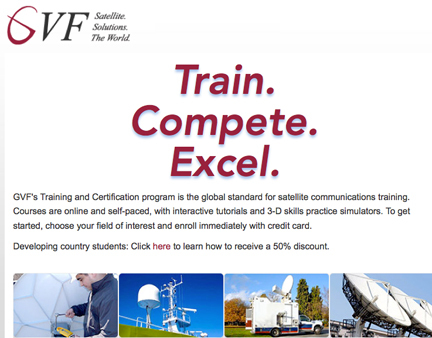 At the GVF stand, GVF training development staff will be available to discuss the latest SNG/broadcast/mobile/teleport uplinker training courses and certifications, talk about the GVF Accredited Organization for Training program (AO/T), and answer any questions. WBU-ISOG Forum, 18-19 November: Geneva, Switzerland. Save the date! Ideal for all staff involved in news operations and special event coverage, the forum will include timely discussions on trends in SNG vehicles, the future of sports coverage and contribution, and integrated broadcast broadband. For more information, please visit http://isog.worldbroadcastingunions.org. For complete information on the GVF certification training program, please visit http://www.gvf.org/training.